The average UK annual public liability insurance premium costs £119.37, according to AXA. However, some small businesses and sole traders will pay less than that and it can be as little as £40 a year. AXA says 10% of its customers paid £59 for annual public liability insurance between January and March 2018. Get a quote from AXA online here. 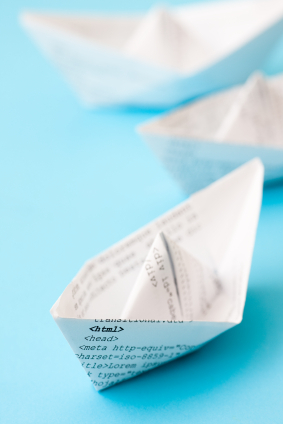 The cost will depend on a number of factors, including the size of your business. Our research found the average cost across all business types is £796.30. We calculated the cost by dividing the size of the public liability insurance market by the number of UK businesses, which equals £796.30 a year or £66.40 a month. Get 20% off AXA business insurance through our builder, carpenter, plumber, electrician, and painter and decorator insurance groups. Does my trade affect the cost of my business insurance? To give you an idea how your trade can affect the cost, AXA says the average price for builders is £278.08 but for carpenters it's £126.32. You can also get a quote from Direct Line to find out how much your cover will cost. It offers up to £10m of cover and says 10% of its customers paid £54 or less between 1 May 2017 – 31 October 2017. Its policies are underwritten by U K Insurance Limited. What's public liability insurance and who needs it? Public liability insurance is not a legal requirement but will protect your business in the event a member of the public is injured or their property is damaged in your premises or as a result of your work in their home. Many companies or events may require you to have it before they will work with you. It’s available for all businesses including market stalls, shops and food trucks. Public liability is also worth considering if you’re self-employed or a freelancer. However, it does not cover injuries or claims relating to yourself or your employees. You’ll need employers’ liability for that. It is not a legal requirement to have public liability insurance, but as a self-employed professional, and especially one that works alone, getting a public liability policy can bring you peace of mind and possibly not at a very high cost - if cover for public liability is all you're after. It is good to have that bear minimum in case somebody is injured as the result of your activity and decides to take legal action. Axa says 10% of customers paid £59 or less. It offers up to £10m of cover. Direct Line says 10% of customers paid £54 or less. It offers up to £10m of cover. Hiscox says the starting price of its insurance is £55, based on 10% of their customers. It offers up to £10m of cover. PolicyBee does not provide starting prices but a quote for a fashion consultant was £43.80 a year. It offers up to £5m of cover. 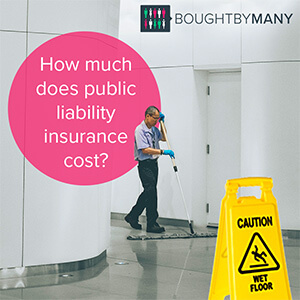 Public liability insurance can be relatively inexpensive without any deals or special discounts. As you can see above, the average price businesses or self-employed people pay works out at about £10 a month and many people will pay less than that. Remember that the cheapest liability insurance is not always the best as it may not include the same features or cover levels as a policy that costs more. However, if you know you’re comparing products with the same levels it makes sense to shop around to find the best value insurance. You can compare prices using comparison sites or by getting quotes from individual companies. There are a few techniques that can influence and potentially lower the cost of liability insurance. You could avoid certain jobs that may increase the cost of insurance, for example, disposing of fumes or harmful waste. Or you could adapt your business so that you won’t need additional cover. If you remove your tools from a van overnight you won’t need the policy option that covers the risk of theft from a vehicle at night. Obviously, these techniques won’t be practical for everyone and you should always consider cover that is useful for your business but it’s worth thinking about the things you can do to lower your price. Make sure you understand the insurance options so that you don’t end up paying more for limits or features you don’t need. On the flip side, you need to know if you’re leaving your business exposed to risk if you’re trying to save a few pounds on insurance. How much cover you need Cover levels of £1m, £5m or £10m are readily available from most insurance companies. The level you need will depend on the size of your business, the risks associated with your profession and where the business is based. Local authorities may require businesses they are working with to have at least £5m of cover. Check with potential insurers to work out your needs. How long you need the cover for Most policies from big insurers will cover you for a year. You may be able to find temporary or short-term cover for a one-off event but be sure to shop around, you might find an annual policy is better value. If you’re getting married your wedding insurance should have an option to include public liability if it doesn’t come as standard. No claims bonus If you’re shopping around for a new provider don’t forget to let them know how many years you have had cover without making a claim. Like car insurance, you can keep premiums down if you have a no claims bonus. Is professional indemnity right for your work? If you’re a self-employed IT contractor, consultant or web designer you may need professional indemnity cover as well as or instead of public liability. Indemnity insurance covers you if there are claims because of mistakes or poor quality work provided by a specialist. We’ve teamed up with PolicyBee, which also offers public liability, to offer a 10% discount to Bought By Many members. Find out more here. As mentioned earlier, you may also need employers’ liability to cover any staff. Find out more about professional business insurance with our groups for people with pet companies, IT contractors and web designers. We've also written guides to insurance for market traders and hair and beauty professionals. "Quite easy to understand and covered pre-existing conditions. Very happy with the monthly premium." Get a 20% discount on Axa business insurance through our free group. What is cycling liability insurance and do I need it?